Can you believe it's February?! I swear it was December just 2 seconds ago. I typically like February because it's so short and usually goes by super fast! And then the first full week of March is my spring break and a few friends and I are going on a 4 day cruise and spending the rest of break at my boyfriend Emory's house in Palm Beach! I don't wanna wish February away, but I'm definitely looking forward to March! I do love February for the pure reason of all the pink! Pink everything please! I sound like Eloise saying that. When I was in elementary school I think Valentine's Day was my favorite day of the year. I would hop out of bed, layer on every pink piece of clothing I owned, and I always added a bedazzled heart stickers from Old Navy on my cheek. Ahhh to be 10 again. 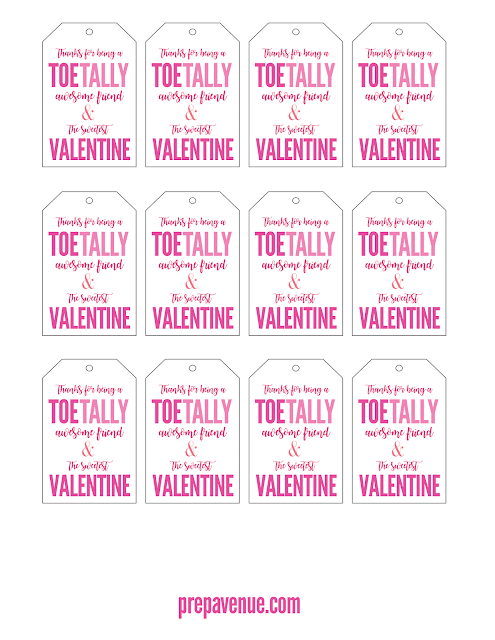 With Valentine's Day right around the corner, I thought it would be fun to share a little V-Day printable you can turn into a cute gift to give to your friends! As great as significant others are, it's always fun to give your best friends a little surprise gift and tell them how much you love and appreciate them! 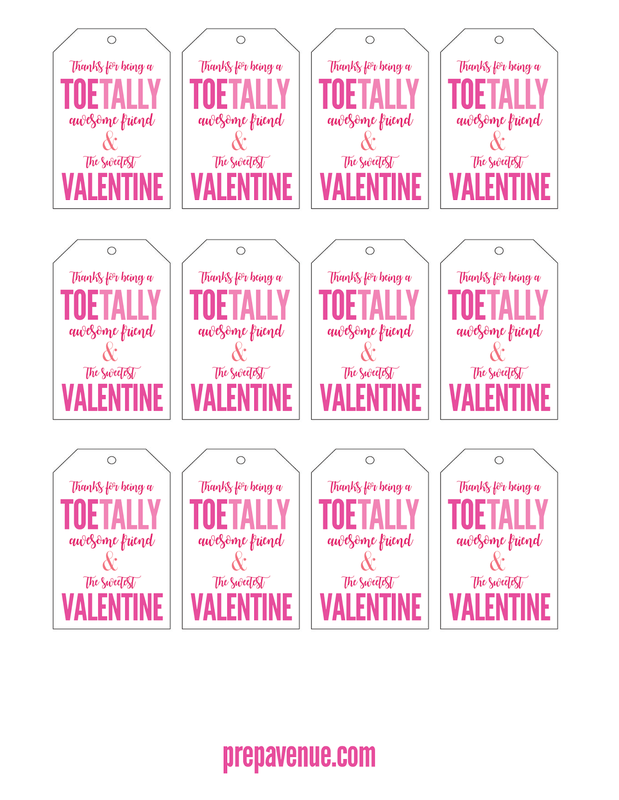 All you have to do is go to the drug store and buy a cute red or pink nail polish color, print out these cute labels, and use a little ribbon to attach the label to the nail polish! 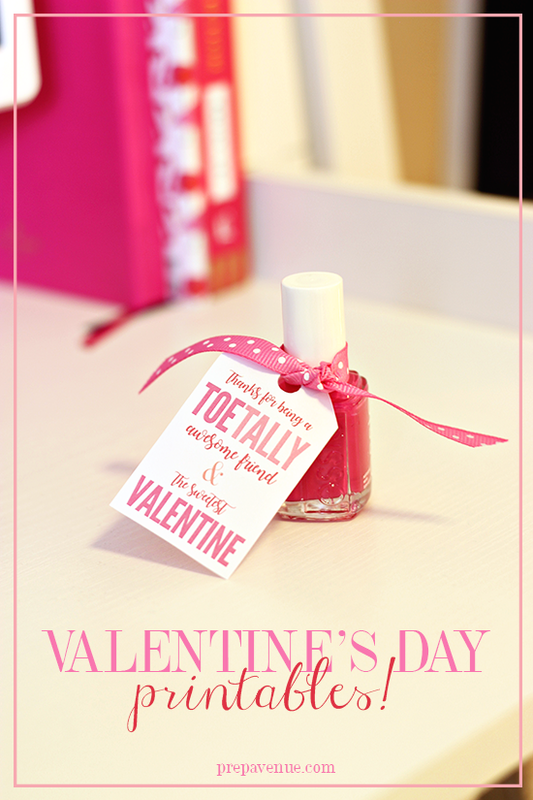 Such a cute and festive little Valentine gift to give to your best friends and not to mention, so easy. Insta message (@prepavenue) or snapchat (shannon.hessen) me a picture of how they turned out if you use them! Can't wait to see them! Happy February!